Happy New Year, everyone! 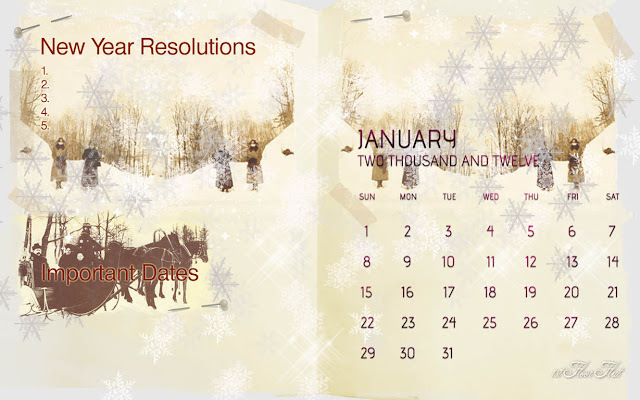 I thought you might like a desktop calendar screensaver for the month. I've made it in 3 sizes. To add to your desktop,left-click on the images to bring up to full size and then right-click to copy to your own computer. Then click your Start button (on your bottom toolbar) and then Control Panel > Display. Click on ScreenSaver, then Browse and select your image. Save! Here's my tutorial for Windows XP users. To add your own notes to the calendar page, or rearrange your desktop icons where you want them here's my tutorial for Windows XP. Windows7 users: just drag&drop your desktop icons wherever you want them. If you need to change the size of your screen resolution, in Windows 7 go to Control Panel > Display > Screen Resolution and adjust to whatever feels comfortable to you. Windows XP users, scroll down to the middle of this tutorial. 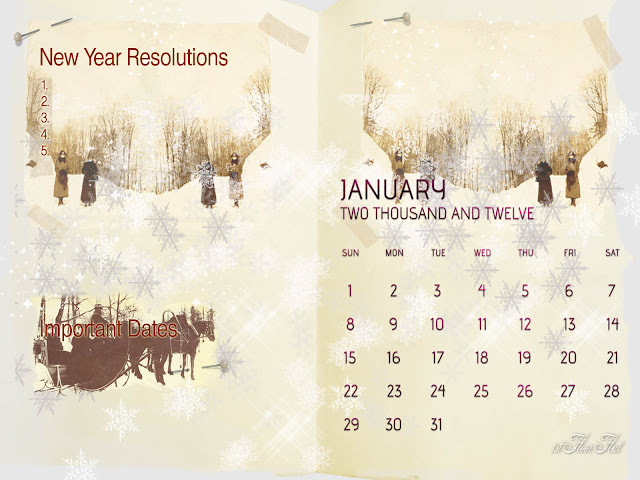 Hope you like the calendar! If so, I'll do them as a regular thing. This is so pretty--thank you for sharing it! Happy New Year!